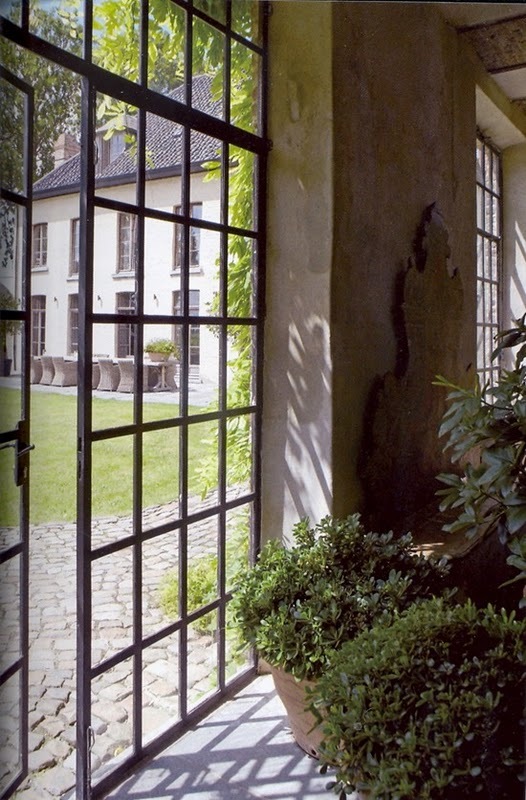 I have noticed the use of steel windows and doors in homes I've admired in magazines and design books for years. Recently I've been seeing even more. 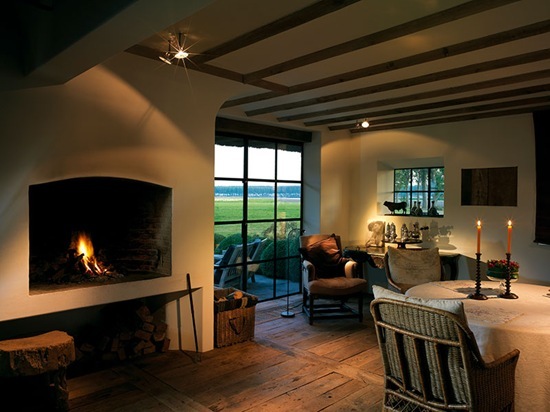 The slim profile allows the room to be flooded with the maximum amount of light, creating a closer connection to the outdoors. In many instances the window can go all the way to the floor. 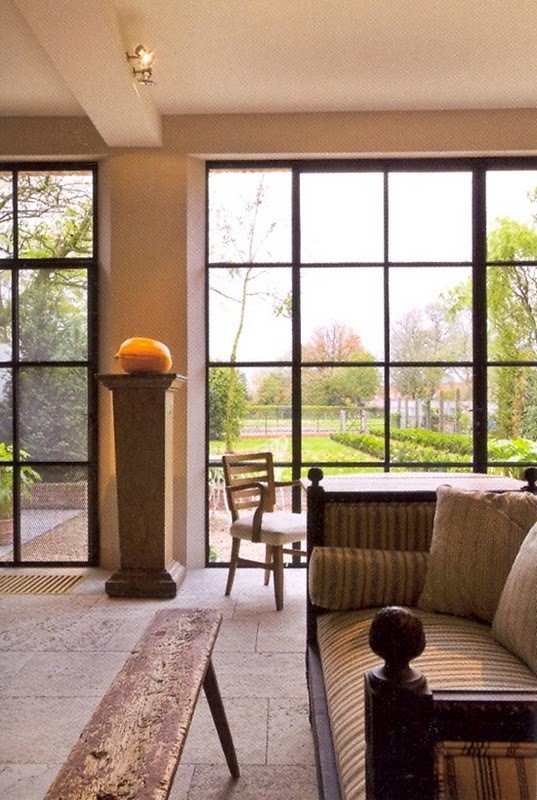 Bobby McAlpine, author of the new book The Home Within Us, is a huge fan of steel windows and doors. "Fabulous" more often than not comes with a higher price tag. 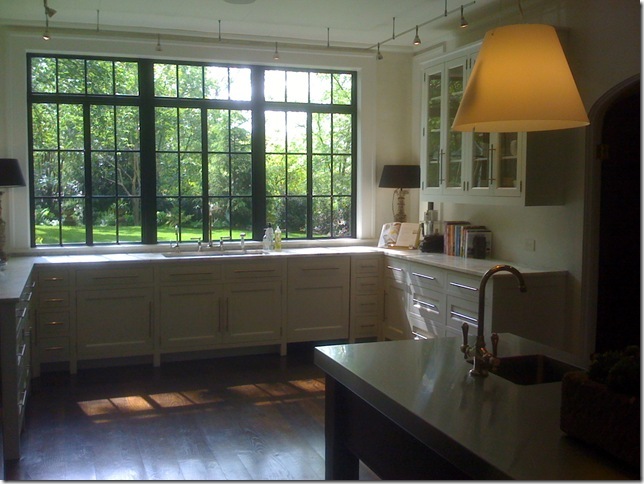 Steel windows and doors are very expensive and so not an option for most of us. 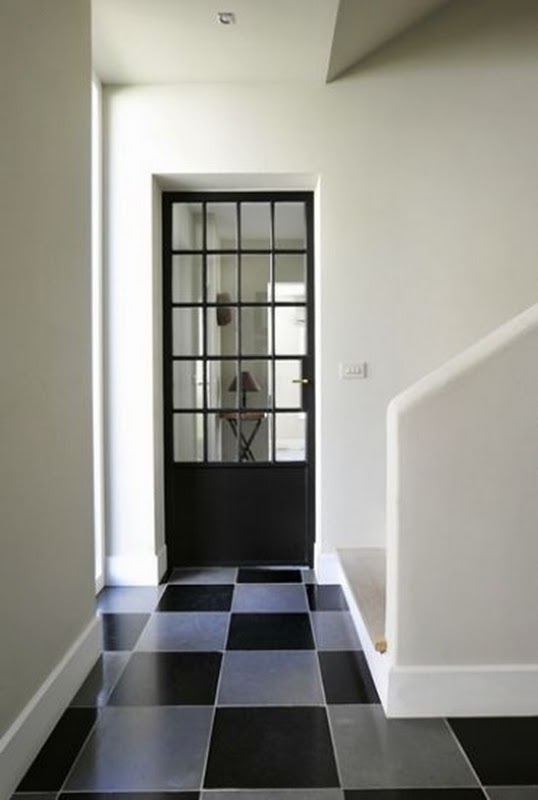 Bobby believes that a close second is to use very thin separations in wood windows and doors and paint them black. We agree that this is an option worth considering. A good friend, Greet with Belgian Pearls, recently did a post with lovely images I'd like to share. To read Greet's entire post go here. 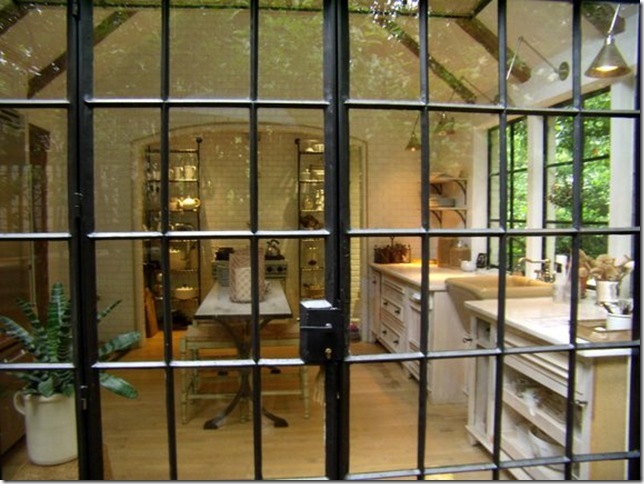 Another favorite of ours, Holly with Things That Inspire, has also posted in the past about steel windows and doors and shared some additional examples of this beautiful architectural element. I found it interesting that in a couple of the images she was not sure if they were steel or not. More proof that a similar affect can be achieved with the appropriate design and paint. Take a look. Did you figure out that the bank of windows in the kitchen in the second image and the French doors in the last image were probably wood painted black? Still a fabulous look. To see additional photos that Holly posted, go here. 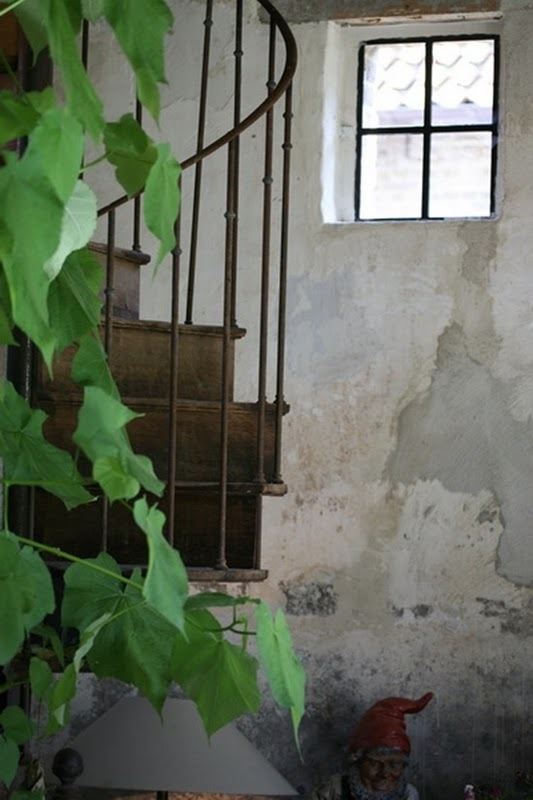 We've promised to keep you up to date on our country home project. We're finalizing details and hope to break ground soon, and guess what? 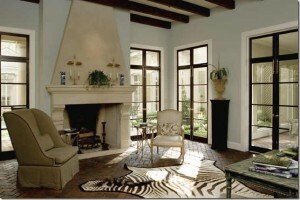 Our plan is to incorporate black painted windows and doors through-out the home. We can't wait to start sharing details as final decisions and purchases are made. We think your really gonna like it! Give us your opinion. What do you think about steel winows and doors? Would you be brave enough to paint yours black as an option? It's your turn.